Second-year BBA in Sports Management student, Franco Bertello, gives us his impressions of the iSport Forum in Barcelona. The main objective of this event is to back up and boost enterprising initiatives, as well as to incubate and develop innovative projects and encourage investment and commercial transactions in the sports industry. One of the guest experts was EU Lecturer Donna Dewitt, whose article “The Grander Scope of Psychology in Sports” you can find in the latest edition of ON Magazine. I had the opportunity to attend to the iSport Forum celebrated on April 17, in the INEFC (National Institute of Physical Education of Catalonia). The Forum consisted of panels of experts discussing three big areas in the sports industry, which was followed by a startup contest. It was an event that combined networking with investment opportunities for entrepreneurs. The day started with a panel of experts debating innovation and technology. The three exhibitors showed very interesting and clear ideas about the current state of the sports industry in relation to the area of innovation and technology. The panel consisted of Didac Lee (Board Member of Barcelona Football Club), Rayde Baez (Head of Digital & Content Marketing – Euroleague Basketball) and Fabrice Bureau (Head of Strategy – Atos Olympics & Major Events). Lee mentioned some very important changing aspects in the sports industry; that the industry is not just about sports anymore, but includes lifestyle and entertainment elements. Barriers are coming down, and the lines between industries are starting to blur. Furthermore, Lee referred to the fact that this industry is very easy to monetize in the short term. This means that doing business and creating powerful ideas gives you a return on investment in a very quickly. Rayde Baez, from Euroleague, showed us that everyone is creating media content right now. We do not have to wait for the media to find out what is going in sports. Now, athletes are creating their own content on their social networks without an intermediary. The big challenge for Euroleague, he mentioned, is that now they need to create a lot of content, but with videos which are very short in length. This is the strategy they will follow in order to grab the customer’s attention. Finally, Fabrice Bureau from Atos told us about the new platform they are creating for the Rio Olympics 2016 that makes constant use of the cloud for every aspect of development. This is more cost effective for the organizer, and they can also decide the power of the storage they want to use according to the time of the year. 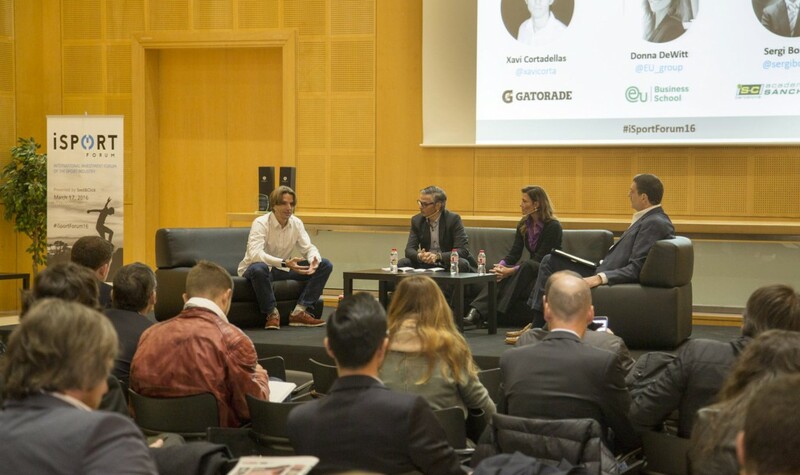 On the Health & Nutrition panel were experts: Donna DeWitt (Sports & Performance Psychologist – EU Business School), Xavi Cortadellas (Head of Design & Innovation – Gatorade) and Sergi Bonillo (Manager of Tennis Worldwide Leadership & Barcelona Nutrition Leadership). Xavi Cortadellas from Gatorade, showed us the new innovation technologies that the company is developing for the top-performance athletes in order to get an advantage over their competitors. This strategy is a personalized application of the liquid they need to take in order to recover their body and to level out their vitamins and minerals for top performance. Donna DeWitt remarked on the importance of mental health and balance for athletes. She works with young student athletes aspiring to become professional football players and helps them with several techniques to improve their performance on the pitch. Sergi Bonillo helps athletes improve in mainly off-the-pitch areas such as nutrition, education, and any other type of consultancy that the athlete might need. He stated that their main goal is to build not just an athlete, but a person for the future who is able to face life with prosperity. The last debate panel was about what’s next for the sports industry and was formed by Francisco Empis (Director of Communications – Doyen Sports), Enric Jove (CEO – McCann Worldgroup), and Albert Saborido (CEO – Motorpress Rodale). All of them agreed that sports connect the dots of many industries such as; finance, public relations, clothing, fashion, etc. This is what makes the industry so big and creates financial potential beyond the competition. They think that one of the major trends is third party investors who help generate revenue from future sales by investing and helping teams get the best players. 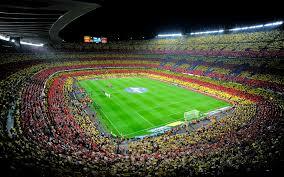 Furthermore, they remarked that fans are always looking for new experiences; and they are 24/7 fans that want to constantly know what is going on off the pitch. Media relationships and communications are changing with the times and this is a new era in which people want to be constantly connected, which is a major challenge for any media company. To conclude, they said that even though despite the fact that people watch events on their computer and other devices, the TV will continue to exist because it is an essential experience that goes beyond “just watching a game”. First V1sion: brings sports fans the best major league action from the players’ point of view – cameras are attached to their shirts. Usee: It’s the first metabolic tracker in the world that helps people, from beginners to athletes, find their own way to lose body fat and maintain optimal health. SM Genomics: personalizes sporting activity, improves performance and prevents injuries. Vogo: offers a compelling media experience for in-venue spectators. Wefitter: a platform that promotes, motivates and rewards active and healthy lifestyles. iSport was a very satisfying event in every sense. It was a great opportunity to get to find out and understand what is going on in the industry and how it is developing through the years. The level of the panelists was very high, and the networking opportunities were very useful. I encourage EU to continue sponsoring these types of events and helping students attend.